This 25-oz. 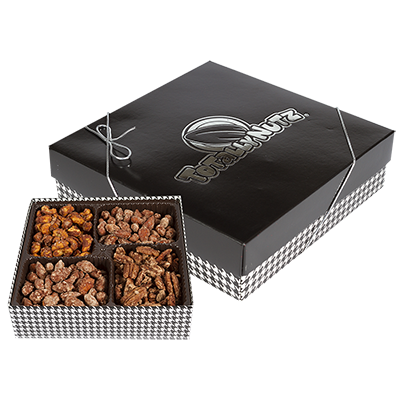 gift box features our signature cinnamon glazed products; almonds, pecans, and cashews. Beautifully packaged in a Totally Nutz gift box and perfect for any gift giving occasion. All gift boxes are roasted fresh and sealed in the box for maximum freshness.